A Google news search for the term “gas leak” in late September yielded links to a results page with nearly 20 stories—and only two were about the explosions Sept. 13 that destroyed houses, caused fires and left one person dead in several communities outside of Boston. Residents in a Sonoma County, Calif., town were evacuated Sept. 23 when a construction crew ruptured a propane line. On the same day more than two dozen homes were evacuated in a Pennsylvania town because of a reported natural gas leak. A day earlier, on Sept. 22, a fire in the Museum District of Houston, Tex., was attributed to a gas leak. On Sept. 21, a home in suburban Detroit exploded because of an apparent gas leak. In the towns outside of Boston, where an investigation continues into the reason for the over-pressurized gas lines thought to have caused the explosions, residents are being warned to be extremely careful in heating their homes. While the risks associated with natural gas and liquid propane (LP) are present year-round, the arrival of Autumn and advent of heating season heightens those risks because of an increased use of gas and, in some cases, use of gas intensively again after a long hiatus. 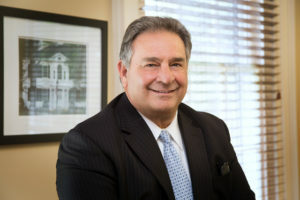 It’s essential for homeowners and contractors to be hypervigilant whenever natural gas or propane is part of the equation—a necessity I know firsthand from my work on a case stemming from a gas-related explosion that destroyed a home in New Milford, Conn. The contractor whose company installed a gas-powered hot water heater was killed and his son was badly injured, as was the homeowner. Reliable gas safety precautions are fortunately both simple and easy to find. 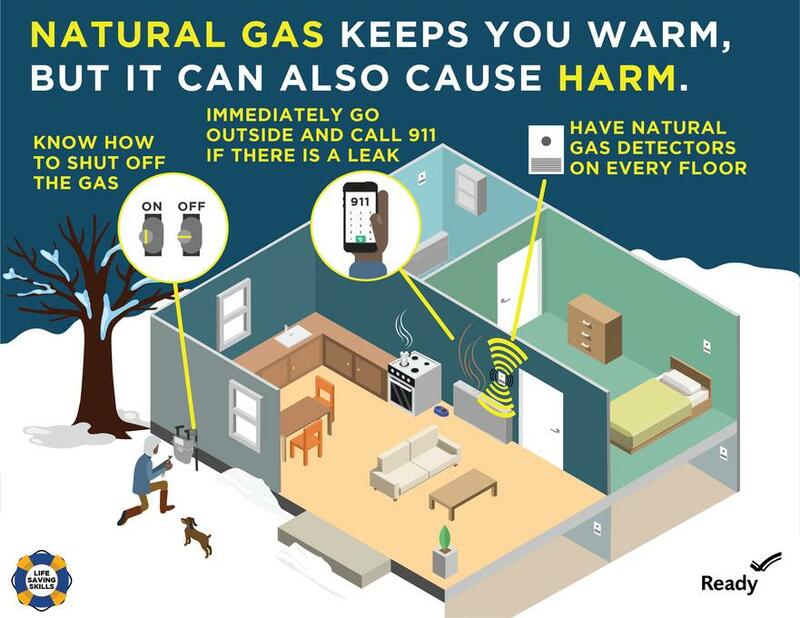 FEMA, the federal Emergency Management Agency, offers the infographic shown below on its website, whose three steps are vitally important: install natural gas detectors on every floor, ideally combination gas and carbon monoxide detectors; know where to shut the gas off, and leave the house immediately upon smelling gas and call 911. Do not smoke, strike a match, use telephones including cell phones, switch on/off appliances, lights or even a flashlight in the area where you smell gas. These items can produce sparks that might ignite the gas and cause an explosion. Call Eversource immediately at 877-944-5325 or 911. Do not assume that someone else will report the condition. Let us know if digging activities are going on in the area. If you’re using propane and smell gas, immediately evacuate and contact your propane dealer. For additional tips on propane gas safety, consult the website of the National Fire Protection Association. And for more on keeping your home and loved ones safe from carbon monoxide poisoning, visit the resources page provided by Eversource. There’s another essential precaution that doesn’t get mentioned often enough. Hire a qualified service company to check out and clean your seasonal gas appliances, such as gas fireplace—whether it operates on natural gas or propane. It’s well worth the expense, time and effort to assure safe operation and for peace of mind because leaving it to chance can be catastrophic.